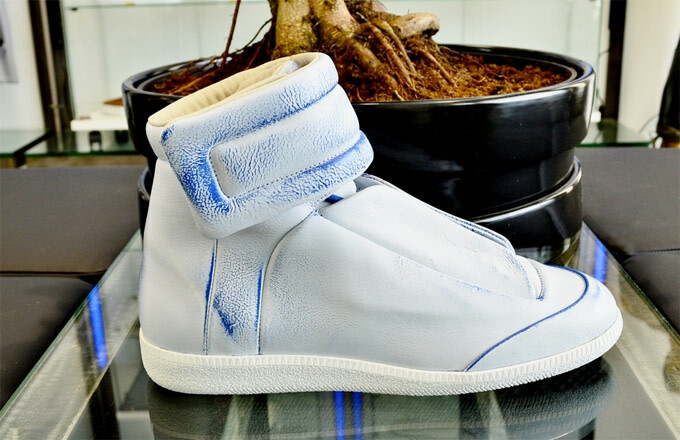 Maison Martin Margiela Future High Top "Yeezus Tour"
This one&apos;s for all the Kanye sneaker stans out there. 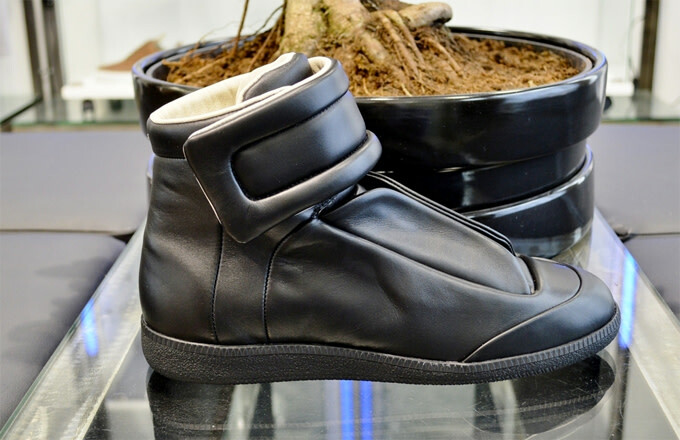 Belgian fashion label Maison Martin Margiela has created a super limited Future High Top as a nod to Kanye West&apos;s Yeezus concert tour. 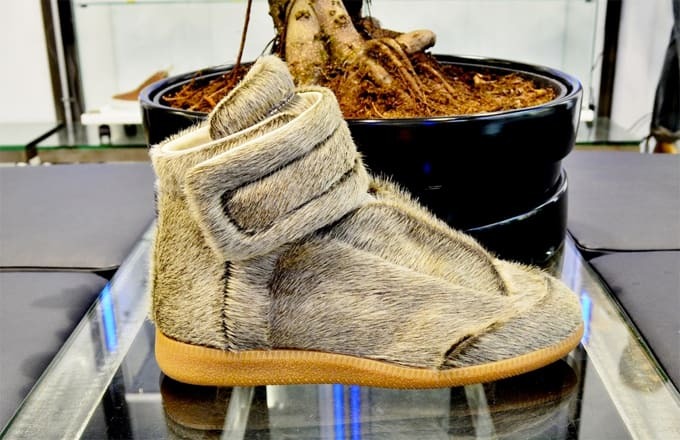 The high-top Margielas, aptly nicknamed "Yeezus Tour," are covered entirely of genuine pony hair and equipped with a padded velcro strap. Underneath sits a complementary brown midsole. If you recall, it was Margiela that actually supplied &apos;Ye with all of his onstage outfits during the tour. That includes several iterations of the Future High Top and, of course, the epic mask that Kanye wore for a majority of the time at each stop. 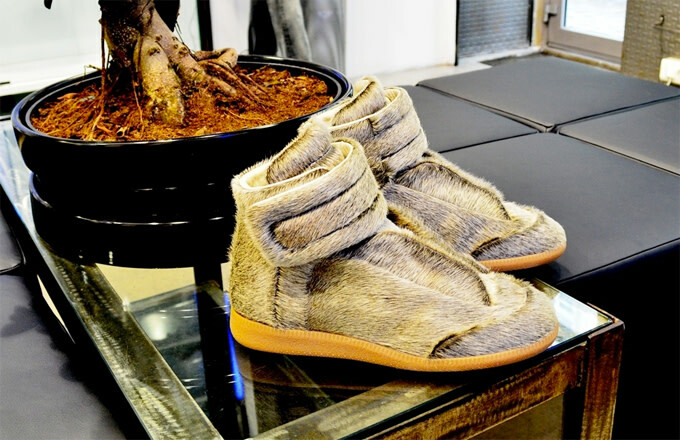 You can actually cop the "Yeezus Tour" Margielas at French retailer Anrosa for €680, or about $909 (non-EU customers qualify for 20 percent off with promo code VAT). Anrosa also has other (non-"Yeezus Tour") Future High Top colorways in stock, including "Black" and "Iced Blue."